The Eagle’s Wings Foundation (EWF) is a non-profit organization created in 1999 by the Villa Group and the late Jim McCarthy, a long-time UVC member. Eagle’s Wings gives back to the communities and areas surrounding the Villa Group resorts. 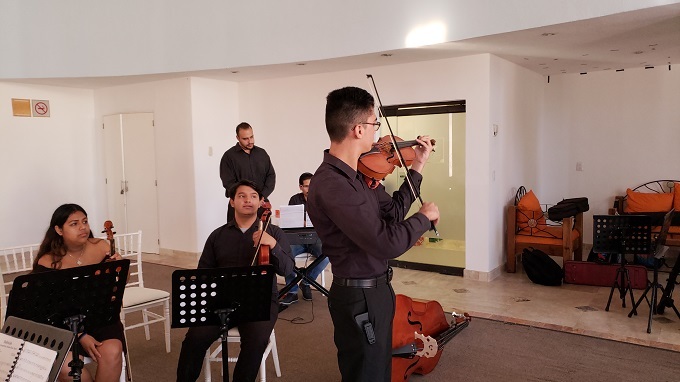 Orquesta Escuela de Puerto Vallarta was one of the many organizations that the Eagle’s Wings Foundation partners with; member Erdmute Baumann, an avid music lover, visited the children’s orchestra there. Moved by their performance, Baumann decided to donate a special gift to the students. The Baumann family donated a gently used violin that had been with the family since 1944. The violin is the property of Baumann’s late husband and holds significant importance to the Baumann family. We want to thank Erdmute Baumann and their family for this generous donation. In this excerpt below, Erdmute Baumann explains what the donation means to their family and further illustrates the history of the donated violin. In 1944, my late husband, a Dutch national, was forcibly taken by the Germans to Dusseldorf, West Germany, and was assigned to a wrecking group, which removed rubble after air raids. At one of such occasions my late husband happened to stumble upon this violin, perfectly intact inside its case. This took place at a house where everyone had perished. My husband asked and was granted permission to keep the violin. 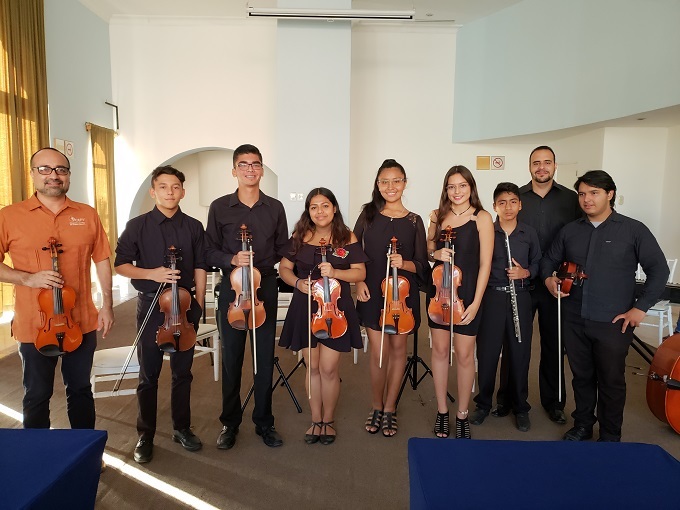 He taught himself to play the violin when returning to his native Holland and brought it with him when immigrating to the United States in 1952. We were married in 1955 and sometimes played duets as I can play the piano. In the year of 1969, when our son Tasso was 13 years old, he happened to take a close look inside the violin and informed us excitedly that he discovered what was written inside the violin, namely “Antonio Stradivarius de Crementis“, with a date of a year around the late 18th century. 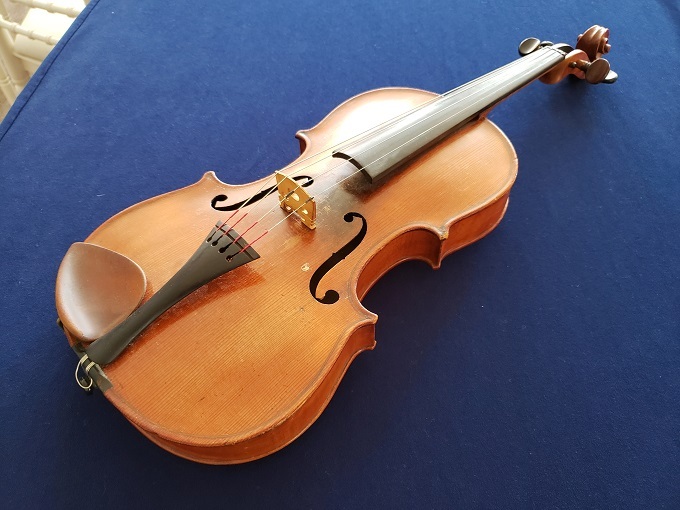 We had the violin appraised at Sotheby’s in New York, where we were told that this was one of many copies built about 200 years ago. At the time we retired and moved from New Jersey to Florida the case had practically disintegrated. I recently purchased a new lightweight case and look forward to the violin finding its new owner in form of a young child who is interested in learning to play the instrument. Support Eagle’s Wings Foundation today! To make a one-time or recurring donation through Pay Pal, please visit the website at http://eagles-wings-foundation.org/campaign/become-a-volunteer/. Click on donate, fill out the form, and the link will automatically take you to Pay Pal. Thank you!